Copper color. Aromas of chocolate, strawberry preserves, starfruit, molasses, cinnamon toffee, cola, fig bar, apple orchard, and praline with a velvety, vibrant, fruity medium-to-full body and a tingling, elaborate, very long eucalyptus, cold brew coffee, rich tobacco, and cardamom and clove finish. A very memorable expression from Taiwan; sip to celebrate life’s biggest achievements. 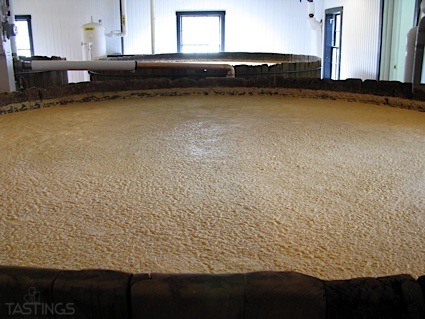 Bottom Line: A very memorable expression from Taiwan; sip to celebrate life's biggest achievements. 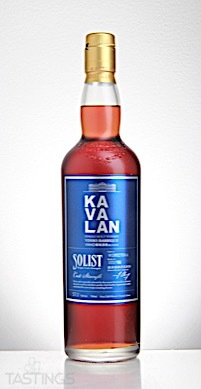 Kavalan Solist Vinho Barrique Single Cask Strength Single Malt Whisky rating was calculated by tastings.com to be 93 points out of 100 on 7/27/2018. Please note that MSRP may have changed since the date of our review.